The scholarships listed have a variety of application deadlines, so read the criteria carefully. For scholarships with closed deadlines, mark your calendar with a reminder to revisit websites later to check for the next application dates! Texas Home School Coalition (THSC) has established a donor-funded scholarship fund for Texas homeschool graduates who attend Patrick Henry College (PHC). Deadline beginning of March. HERO offers three, one-time awards of $1,000 each. Craig Dickinson Memorial Scholarship for academically excellent students. Mason Lighthouse Scholarship for service-minded students. State Of The Arts Scholarship for the student who plans to study performing or visual arts past high school. Deadline beginning of March . LeTourneau University offers a wide range of scholarships for students, including the Homeschool Endowed Scholarship for incoming freshmen who were homeschooled through high school. Awards is up to $3,000 yearly for up to four years. Rolling deadline corresponds to semester admissions deadlines. Sonlight homeschool curriculum company offers college scholarships as one of SonlightCares. To be eligible, students must have purchased and used at least five Sonlight history/literature/Bible programs since 2000. Awards 13 scholarships: one $5,000/year, four $2,500/year, and eight $1,000/year renewal for four years if student remains eligible. Deadline December 1. Austin Board of Realtors Foundation is another option for college-bound students. The Foundation has awarded more than 300 scholarships since its inception in 1978, including $250,000 in the last five years. More information can be found on the ABoR website. Deadline beginning of March. Maudie’s Scholarship Award is up to $10,000, awarded to one applicant per year. Warriors for Walt Scholarship Award is up to $7,000 awarded to one applicant for 2018. Apply for Ruby’s Rainbow Scholarship. Deadline is late April. Students graduating from homeschools in Texas may receive a $48,000 scholarship ($12,000 per year for four years) to HSU. Apply online to HSU and be approved for regular (freshman) undergraduate admission for the spring or fall of 2019. You will receive the Texas Scholarship automatically unless you qualify for an even higher academic scholarship (the Texas Scholarship may not be received in addition to academic scholarships). The U.S. Presidential Scholars Program gives national recognition to students with outstanding scores on the SAT or ACT tests. Details on nomination and awards can be found on the US Department of Education website. The Harry S. Truman Scholarship Foundation encourages leadership and ambition among college juniors. Details on grants and applications can be read at Truman.gov. The James Madison Memorial Foundation donates generous grants to those studying to become constitutional teachers and professors. Details can be viewed at JamesMadison.gov. Unlike many scholarship programs, the selection of a Terry Scholar is not simply based on financial need, test scores or grade point average. Instead, Terry Scholars are chosen because they exhibit a well-rounded personality, grounded in a desire to succeed, and a demonstrated history of community leadership. Learn more at TerryFoundation.org/Future-Scholars. This program offers national, state, career and technical, and targeted scholarships. Application deadlines and eligibility criteria vary by scholarship. The National Merit Scholarship Corporation offers two scholarship programs: the National Merit Scholarship Program and the National Achievement Scholarship Program (specifically for African-American students). The NHSC Scholarship Program is a competitive federal program that awards scholarships to students in return for a commitment to provide care in underserved communities. The program pays tuition and fees and provides a living stipend to students enrolled in accredited medical (M.D. or D.O. ), dental, nurse practitioner, certified nurse midwife, or physician assistant training. Upon graduation, scholarship recipients serve as primary care providers between two and four years in a community-based site in a high-need health professional shortage area (HPSA) that has applied to and been approved by the NHSC as a service site. Awards are made to applicants most committed to serving underserved people and most likely to build successful careers in HPSAs to meet future needs for care throughout the nation. Sign up to be notified when scholarships are available. The Barry Goldwater Scholarship provides undergraduate college students with scholarships for school and—under certain circumstances—provides grants to medical students who plan to research medical science after graduation. Details on the scholarship rules can be read on their website. Beginning in 2017, the Texas Patriots Tea Party (TPTP) has awarded a $1000 scholarship to a deserving graduating high school senior in Johnson County, Texas. The award was named after Pastor Rick Hope who was great citizen and member of the TPTP Board. Two $300 scholarships are awarded by the Apostolate of Roman Catholic Homeschooling (ARCH) to merit-based students each year. Applicants must have completed at least their final two years of high school in a homeschool setting and must be an ARCH member by October 1 to apply by spring deadline. Community outreach and traveling. a transcript and SAT/ACT test scores are considered for the awards. Students will also need to submit a 500-word essay discussing their educational goals and career aspirations. Scholarships make college cost less, but there are many other ways to accomplish that. These options focus on getting as many college credits outside the regular college or university semester structure, where cost is highest. Most of these options are great for knocking core classes out, but won’t do much for progressing on a major. Advanced Placement courses + test: Using an approved online provider, homeschool students can take many advanced placement courses and test at the end of the course for three college credits. Note: This option may require enrolling in a virtual public school. Credits by Testing: CLEP tests cost just $85. If successful, you just scored three to six college credits for $85! Special Programs may provide more credits at lower cost, or the same credits at lower cost, and add an element of fun and adventure! This includes certain study abroad programs that can be taken in a gap year before college. Or take a temporary transfer away from a more expensive school to attend a special program. My pick in this category: North Lake College’s 2-week, 3-island Hawaii program which earns students 16 credits for $4,000 (in-county resident tuition). Homeschool students are eligible, even in their junior and senior years of high school (ages 16 and up). The goal of this contest is to ask students to develop a clean technology solution to the many problems associated with climate change. Prizes awarded up to $10,000. The World of 7 Billion student video contest helps bring technology and creativity into your middle and high school classes. The contest challenges students to create a short video connecting world population growth and one of three global challenges: Advancing Women and Girls, Feeding 10 Billion, or Preventing Pollution. Students can win up to $1,000 and participating teachers will receive free curriculum resources. Use this lesson plan to get started now! Full contest guidelines, resources for research, past winners, and more can be found on the World of 7 Billion website. Writing – For several years, Explore Horizons has been inspiring children to write, from the young authors in the making, to those a little more reluctant. Find out about the writer’s awards. Math – The Young Mathematicians’ Awards is a free problem-solving math competition designed to inspire and challenge gifted young mathematicians in grades 4-6 to work collaboratively to solve advanced math problems. Students are encouraged to develop higher order thinking skills, build confidence in their application of ‘real world’ math, and gain a passion for math. Find out about The Young Mathematicians’ Awards. The mission of the series is to engage young readers by taking them back through time to witness exceptional events and meet incredible people in American history. We hear from children all over the world who have a newfound love of reading and history after going on adventures with Rush! These awards and contests are intended to encourage civic responsibility, duty and a deeper understanding of the complicated issues surrounding the American Revolutionary period among students across elementary, middle and high school grade levels. Earn a $1,000 or $500 scholarship by creating a short video on one of the topics listed. Stand out on scholarship applications with a Congressional Award. Youth ages 14 to 23 can leverage their interests and public service to earn a bronze, silver or gold medal. 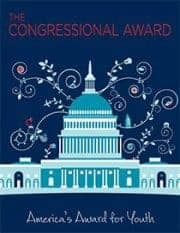 The Congressional Award is open to all youth ages 14-23, no matter one’s GPA or special needs. Participants must be willing to better themselves and the communities they live in. Each spring, the Congressional Institute sponsors a nationwide visual art competition for high school students. Since the competition began in 1982, more than 650,000 high school students have participated. Winners are recognized both in their district and at an annual awards ceremony in Washington, D.C. The winning works are displayed for one year at the U.S. Capitol. Think of an app you’d like to create. Work on your own or as a part of a team of up to four students. Submit your app and information through the website. As a non-profit organization comprised of homeschooling families, the Family Educators Alliance of South Texas (FEAST) awards an annual grant/scholarship for homeschooling families who meet specific income eligibility guidelines to purchase curriculum for their children, K-12. For eligibility guidelines, visit HomeschoolFeast.com/Scholarship. Must live in Bexar, Kendall, Guadalupe, Wilson, Atascosa, Bandera, Comal, Medina or Blanco Counties. This charitable organization offers curriculum grants in special categories such as widows, single mothers, special needs, military and in response to emergencies and natural disasters. Check out DontPayFull.com’s massive list of charities and special funds that provide grants and donations for the special needs of families with a student with special needs. Good college preparation starts well before senior year. Are you on track to a smooth transition to college? Read 30 signs on the path to college for homeschool students to help you and your student navigate the pre-college waters. To thrive in a college classroom, students must have the study skills necessary to be independent learners. They must also have assumed responsibility for their education. Additional considerations are preparing your student to manage time well, take notes quickly, write research papers and use reference sources. Read more about thorough college prep in The Homeschool Graduate and College. Looking for a high-quality Christian college? College Choice has just published its ranking of 50 Best Christian Colleges, six of which are in Texas. BestColleges.com publishes an annual report on America’s Best Online Colleges. Their 2018 report ranks the top 50 online colleges in the nation and gives students helpful tips on choosing the right college. They also list the best online colleges by state so that students can find great universities close to home. MatchCollege is a free site where college seekers and their parents can get their college questions answered. Nearly 8,000 accredited colleges and universities are listed on the site. It includes comprehensive college resources and thousands of free guides, with a guide especially for homeschool students. OnlineMBA.com offers free college planning resources for prospective business students. Their 10-part guide familiarizes individuals with business school options while guiding students through the selection and application process. They also offer state-specific resources exploring the MBA and business landscape, advising individuals on local options for a quality business education. Additionally, they explore the top MBA programs of 2018. LendEDU.com offers a guide to Texas student loans, scholarships, and grants to help students find affordable options in lieu of or in addition to taking on student loan debt. 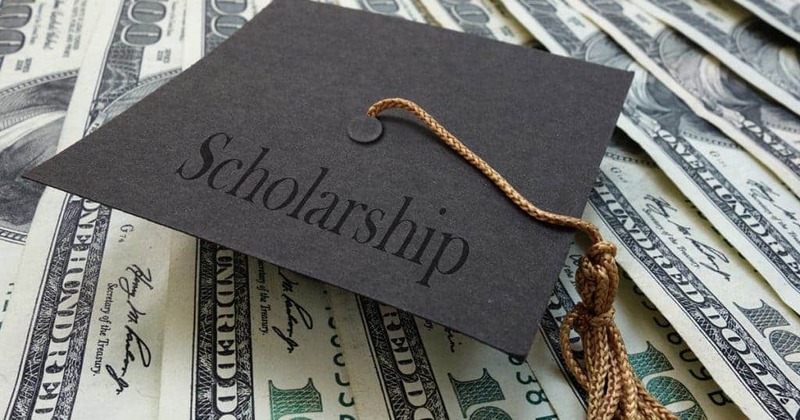 LendEDU also offers a Guide to College Scholarships sorted by many categories, including scholarships by brand, state, major, military, trait, race, religion, school and even weird scholarships! A THSC Watchmen is a legislative intern who serves within the THSC Public Policy Department as a legislative analyst and lobbyist for the homeschool community. The THSC Watchmen program presents homeschool graduates with opportunities to develop skills such as critical analysis, professional writing, public speaking, networking and teamwork. THSC Watchmen learn practical skills which are useful in a wide variety of professional environments while protecting the God-given right of families to raise their children. By assisting district staff, interns have the opportunity to gain firsthand experience providing constituent services and interacting with the community through a congressional office. Academic credit may be available for college students participating in the internship program. The $2,000 Apologia National Scholarship for Christian Service is granted to home-educated students across the United States. Recipients will join the one-year Christian gap year program at Impact360 to receive training in Christian service for 18 hours of college credit. With selection mostly based on leadership potential and academic excellence, preference is given to students who have been educated on the Apologia curriculum. Apply today! Take college admissions exams one more time. Check out Everything A Homeschooler Needs to Know about College Entrance Exams. Apply now to take the ACT, SAT or the new CLT. Apply for scholarships. Concentrate on ones you have the best odds to get. Complete the FAFSA. Since the Free Application for Federal Student Aid works on a first-come, first-serve basis, procrastination could mean forfeiting free money! Federal FAFSA online applications for the current school year begin in early fall of the same school year. State and college deadlines may differ, so check with your preferred college as well. Complete the FAFSA online now. Apply to an adequate number of so-called safety schools (these are schools where the student’s score and profile are better than the typically accepted student). Apply to your dream schools or stretch schools—the place you really want to go, despite having scores and profile below the typically accepted student and inadequate financial resources. College admissions is somewhat of a numbers game. Colleges want a good distribution of gender, ethnic group, in-state and out-of-state state residents, foreign students, transfer students, intended majors, talents and skills. You never know, but you just might fit the profile your dream school is seeking to attract more of in that given year. Take a campus tour of every school you’re serious about. Schedule tryouts and auditions which can mean scholarship money for your talents and skills. Send your final transcript to all schools you’re seriously considering. THSC members get our free transcript template—one of many great benefits! Review financial aid packages and accept the one for your school of choice. Put down a housing or enrollment deposit for your school of choice.